One of the aspects I like the most about marathoning is you can’t fake it. Unlike other sports where you can make a lucky basket, get a fluke hit or just happen to connect on a great drive or putt, there is no luck involved in the marathon. You train well and are mentally prepared on a given day and either you run well or you don’t. That’s the beauty of the sport. I learned this lesson very early on at a long forgotten marathon in Northern California which consisted of five loops along a freeway frontage road. It was a miserable morning with a nasty storm and even though the course was flat, half the time you were running in ankle-deep water into a 20 mph wind. It was way beyond brutal, maybe the toughest marathon conditions I’ve ever run in, but somehow I slopped my way to the finish. A friend of mine—a former Olympian by the name of Duncan Macdonald won the race that day in 2:17 something—and after the race I asked him what he felt like his 2:17 equated to on a good day. He hadn’t hit a lucky home run. 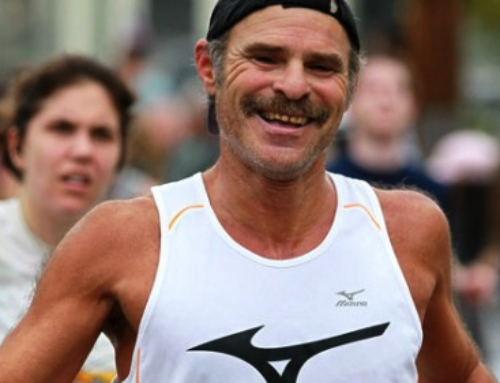 Instead, he just gutted out a tough race and taught me a valuable lesson. There are no “if’s”, “maybe’s” or “but’s” in running. You are what you run. You didn’t almost break three hours (or whatever), except for the hills and heat and missing an aid station or two. You didn’t almost win your age group except for the loose shoelace. You didn’t almost PR except for the sun in your eyes. You might have run faster if you had been in better shape, but you weren’t. Someone once said, “Luck is that happens when preparation meets opportunity.” Truer words have never been spoken about our sport. There’s no crying in baseball—tell that to the Chicago Cubs—and there’s no luck involved in marathoning. O Something very unusual happened last weekend in the Hill Country Marathon (and Half) up in Marble Falls. A woman was the overall winner of both events. Granted, both were small fields but still: A win is a win. In the marathon, Sabrina Little was the overall winner in 3:14:50 and women took four out of the top 10 spots. The half was won by 48-year-old Jennifer Fisher in 1:34:36 and Denise Metry, 47 years old, was runner up with a time of 1:38:55. O Former Vista Ridge HS (and University of Michigan) stud Zac Ornelas was the overall winner of the Detroit Free Press Marathon last Sunday. Ornelas, who is a teacher and lives in Ann Arbor, took the title (and $4000) in 2:20:22. Said the 24-year-old, “This is one of the best marathons I’ve ever run.” Ornelas, and his former Michigan teammate Geoff Burns, who was second, are both running for the US team next month in the World 50-K Championships in Qatar. O Also last Sunday, 13 Rogue runners, led by Coach Amy Anderson, journeyed to snowy, cold Toronto and 10 of them came home with a PR. Setting personal bests and getting a BQ in Toronto, were Bill Durbin (2:51), Brent Weber (2:57), Ashish Premkumar (2:57), Cam Foster (3:06), Dan Parker (3:10), Kris Martinez (3:13), Josh Benge (3:17), Jackie Stone (3:34), Taryn Weiss (3:34), Gina Fuller (3:45) and the late bloomer, 60-year-old Don Carnes (3:35). O At the Palo Duro Canyon 50-miler out in Canyon, Mike McGinn finished second overall (first master) in 8:53:41. Nice. O More ultra stuff: Brian Fagan of Pflugerville was fifth overall last weekend in the Indian Creek 50-Miler (actually, 52 miles) in Colorado with a time of 10:12. Sydney Lambert was 15th overall and second woman in 12:03. In the 50-K, Ross Spencer was 20th in 6:44. The Running Ryans—Jim and Michelle—both ran well too. Michelle finished in 13:12 in the 50-miler (more than 11,000 feet of elevation gain) and Jim settled for the 50-K.
O Former Baylor distance runner Bree Schrader – now living in Austin – placed third woman (and eighth overall) last weekend in the Komen Race for the Cure in Dallas with a time of 17:58. O At the Pre National Cross Country Championships in Louisville last weekend, the UT men finished in 16th with the women placing 40th in the team standings. Brady Turnbull led the guys in 53rd, while Sandie Raines was the top UT woman in 80th. Former Westlake HS star Ashley Maton (a junior at Oregon) finished 63rd for her team which finished third. O The Brushy Creek Regional Trail up in WillCo is getting $1.34 million in Federal fund to close the 2.7-mile gap in the trail in western Round Rock. When completed, it will connect the trail all the way to Hutto. No time table on when construction will begin or when it will be completed but it probably won’t be ready for at least a couple of years. O Quinn Carrozza, the daughter of Paul and Shiela, began her freshman year at UT with a bang. Carrozza won the 200 backstroke in 1:56.43 in a dual meet with Florida and Indiana and finished second in the 200 free in 2:03.40. She was also a member of the winning 400-meter relay team. O What I’m listening to this morning: “Red Headed Stranger by Willie Nelson“. The epic. Even after 40 years, it still resonates. Have any news for me? 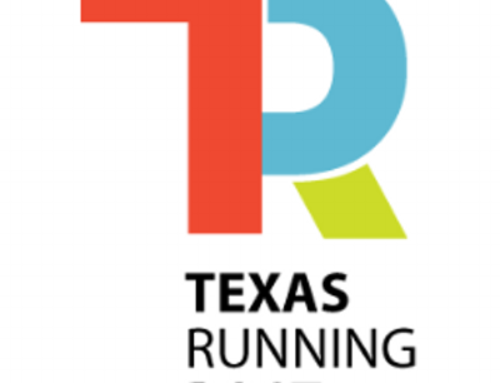 If you have something, send it along to wish@texasrunningpost.com.